After breaking his leg during a shoot, photo-journalist L.B. 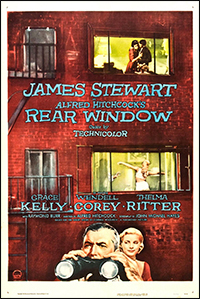 'Jeff' Jeffries (James Stewart) is forced to spend a humid summer recuperating in his Greenwich Village apartment. The wheelchair-bound Jeff whiles away his time observing his neighbours through a telephoto lens, bestowing them with nicknames and growing familiar with their daily routines. 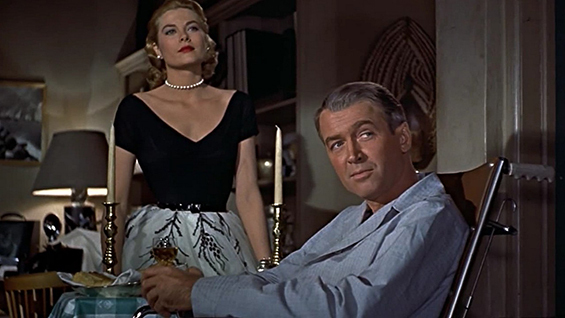 However, his society girlfriend Lisa (Grace Kelly) is exasperated and then alarmed when Jeff becomes obsessed with the notion that Lars Thorwald (Raymond Burr), who lives in the apartment opposite, has murdered his wife. 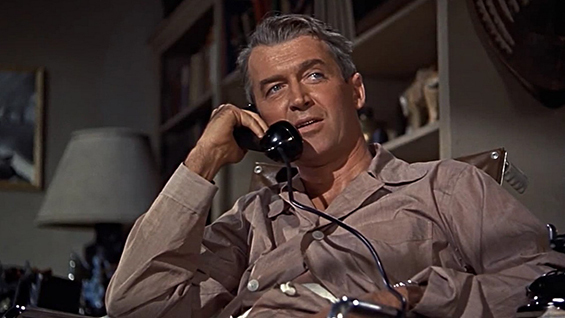 otsoNY Comments: Though this film was entirely shot on a soundstage at Paramount Studios in Los Angeles, California. 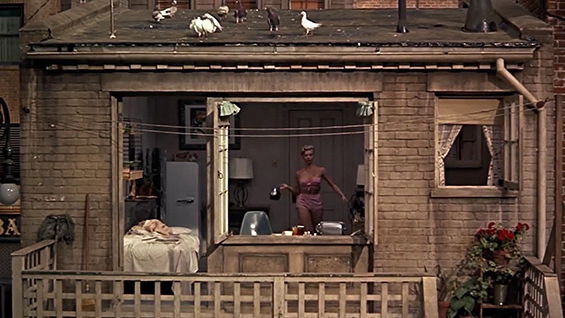 The actual set required months of planning and construction. 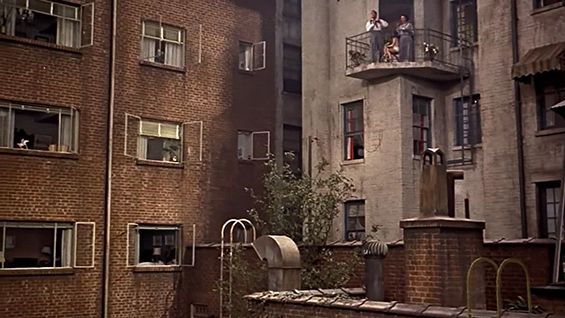 The apartment-courtyard set measured 98 feet wide, 185 feet long and 40 feet high, and consisted of 31 apartments, eight of which were completely furnished. The courtyard was set 20 to 30 feet below stage level, and some of the buildings were the equivalent of five or six stories high. 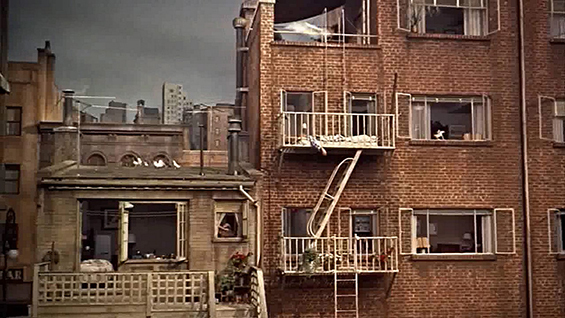 otsoNY Comments: The address given in the film was 125 West 9th Street, though the actual location was suggested to be the rear of 125 Christopher Street in New York's Greenwich Village, and despite some cosmetic changes, the original building still exists. otsoNY Comments: The size of the set necessitated excavation of the soundstage floor. 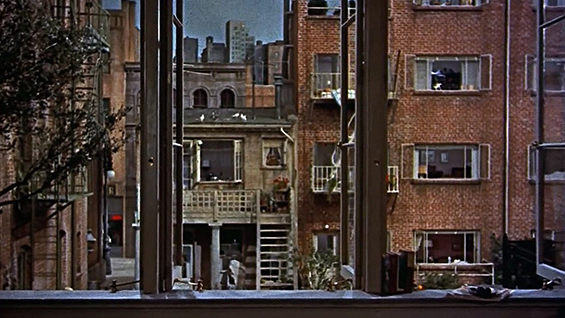 Thus Jeff's apartment was actually at street level. 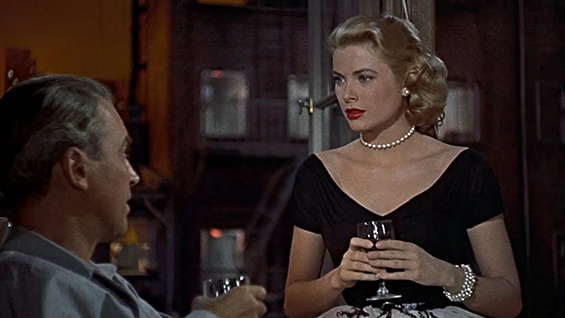 otsoNY Comments: Grace Kelly's acting career was short lived, after "Rear Window", she appeared in "The Bridges at Toko-Ri", "The Country Girl", "Green Fire", "To Catch a Theif", "The Swan", and "High Society", after which she quit acting for good. 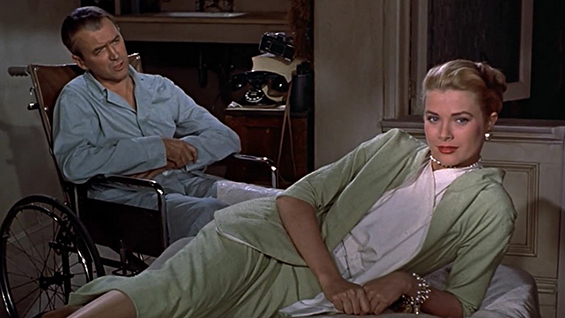 otsoNY Comments: Alfred Hitchcock spent a great deal of time with Edith Head on Grace Kelly's look, which was characteristic of his often obsessive relationship with his leading ladies. One costume he fretted over was the negligee Lisa wears to spend the night at Jeff's. He quietly pulled Head aside and suggested falsies to give Kelly a bustier look. 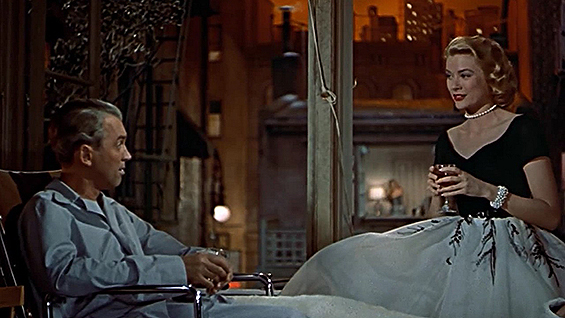 The designer and the actress, however, made only a few changes in costume construction and posture. 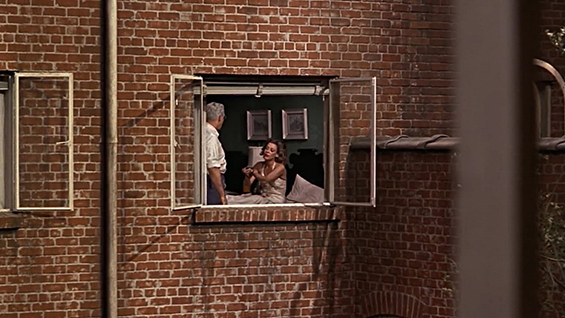 Hitchcock was fooled into thinking Kelly had been padded and approved the look. 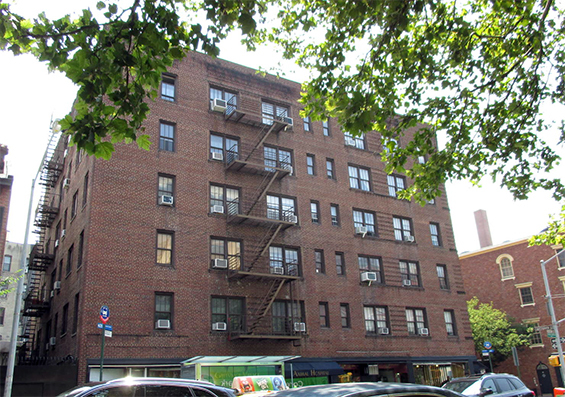 125 Christopher Street (btw Hudson Street and Bedford Street) Manhattan.